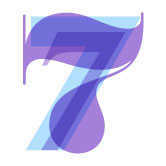 Known as the philosopher's Sun Number, 7s like to look at the deeper meaning of everything in life -- nothing is face value. They have strong ties to their communities and the entire world community alike. 7 Sun Numbers are the quiet kids at the party. They tend to shy away from the louder, more energetic group of people. They just want to have an intelligent conversation! It's because of this that 7s tend to have few, but VERY close friends. 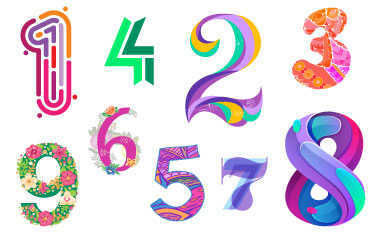 7 Sun Numbers tend to gravitate toward a career in psychology or psychiatry. However, just because they drift towards jobs that require you to live in your head, they are still one of the most curious minds of all the Sun Numbers. It's no surprise that the one hurdle 7s have is to actually embrace their emotions instead of fixing everything with a couple nights of hard, logical thinking. When it comes to matters of the heart, the 7s can be a bit tricky. They tend to live on a more intellectual plane, so matters of passion and pleasure usually don't come until later in life. But that's not to say that when that physical bond is finally had that they still don't enjoy it. 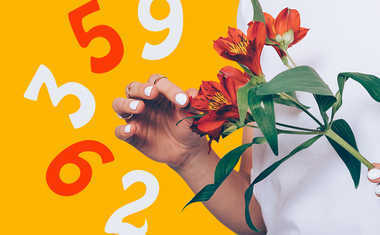 Quite the opposite, actually -- 7 Sun Numbers tend to be some of the best lovers, wanting only to give pleasure to their partners. 1: These two would get along famously because the 1 would be very protective of their 7. 3: They'd have a great time together because they both do well in long-term relationships. 5: Their need to fight for a relationship is why these two could stay together awhile. 6: These two would be 6s and 7s over each other because they stay in love for a long time once they finally make the leap. 7: This pair of 7s both have the same outlook on life and love. 9: A 9 and a 7 would add up because they are both considerate of what their partners needs are.